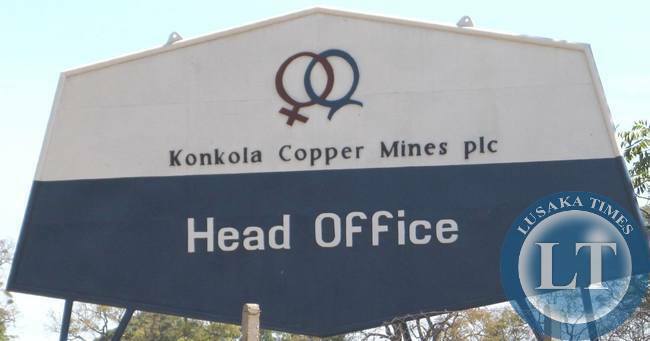 Konkola Copper Mines (KCM) has reaffirmed its commitment towards Zambia’s development agenda despite the current challenges it is facing that have affected its operations. KCM Chief Executive Officer Steven Din says the company’s investment in the mines amounting to $3 billion dollars over the last eleven (11 years) is a clear demonstration of its commitment to this development agenda. Mr. Din has said this in a statement in commemoration of the company’s 11th anniversary which falls today. Mr. Din notes that despite the current challenges KCM is facing such as low copper prices and power deficits, the company’s 50 year vision will ensure that KCM still remains in operation for a long time to come through enhanced sustainable operations of its mines. He adds that to achieve this agenda KCM is examining local economic development opportunities aimed building up the economic capacity of the communities around KCM’s operations to improve their economic futures and the quality of life for all. He also highlighted the company’s commitment to its CSR programmes in the areas of rural livelihoods, education, health and sports. KCM has spent more than $160million on its CSR projects since Vedanta acquired its interests in the company. He says the company aspires to use the KCM assets as a catalyst to secure economic activity in the Copperbelt and surrounding areas for the next fifty years and beyond, long after KCM has ceased mining. “KCM is working a 50 year vision but this vision depends on the Copperbelt realizing its potential as an economic hub. Mining alone will not achieve this. Agriculture, tourism, logistics, services and trade will all need to make a contribution,” Mr. Din said. The CEO is confident that with the right strategy, carefully executed in partnership with government, donors and civil society groups, KCM can add substantially to additional economic activity per year in non-mining sectors and create many jobs. He further notes that generating employment beyond the life of the mines will be the single greatest economic legacy of KCM in the Copperbelt. Guys we are here for the longer term.We may appear to be harsh and cruel, it is meant to train you and teach you astute business acumen. Let us hope that the entente cordiale will continue for decades to come! Can you please translate what you mean by “astute business acumen”? If you are so advanced that you can “teach” Zambians please help 400,000,000 fellow Indians living in India to have access to toilet never mind eliminating “caste” system from your society.